To say Tuesday, November 8th, was a shocker for most people is an understatement. Since everything is grist for my mill, I’m going to write about what I’ve learned from this disturbing experience. Like the pundits and pollsters, I had no idea how badly my fellow citizens wanted Donald Trump for president. I live in an isolated bubble of liberal friends, and we all thought Trump was a poor choice. In fact, we thought Trump was an overwhelmingly obvious poor choice. We were wrong. Lesson 1: Electing a president is not an intellectual decision. I’m currently reading Are We Smart Enough to Know How Smart Animals Are? by Frans de Waal. The chapter on chimpanzee politics is rather enlightening. Electing a U.S. president has many parallels to selecting an alpha male. I think our society is not against electing a female for the alpha male position, but we might not be ready to give up alpha male traits in our leaders. 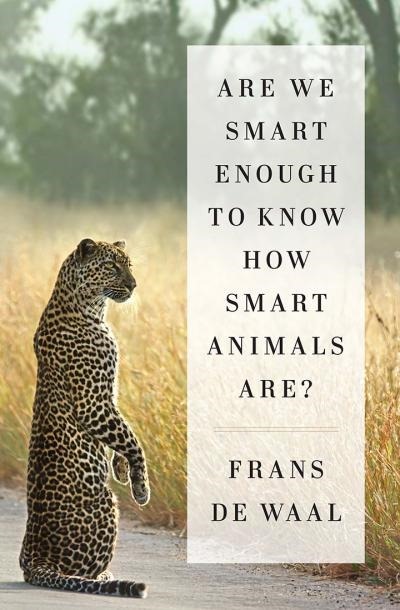 The point of de Waal’s book is animals are smart in all kinds of ways we don’t recognize, and sometimes those smarts are superior to ours for the same talent. He makes a case that our intellectual intelligence can be self-deceptive. Humans are animals, and we function on many levels, using many kinds of intelligences. To analyze the election results totally by measures of left brain logic is a huge mistake. Lesson 2: Trump’s slogan “Make America Great Again” meant different things to different people. For people who are financially secure, America is already great. Sure our country has many problems needing fixing, but let’s not rock the boat. For people out of work, or working at low-paying jobs with no hope of ever succeeding, then Trump’s slogan takes on a whole new meaning. But do we know how many people are really out of work? How bad is the economy to the heartland? I see vastly different figures for the number of working age people not working. Here’s the Bureau of Labor Statistics for Employment release just before the election. Things don’t look bad at all, especially compared to 2008 and 2012. But if you’re a conservative, you read reports like, “Right Now There Are 102.6 Million Working Age Americans That Do Not Have a Job.” That’s unbelievable to people with math skills, but completely believable if you only see the bad sides of the economy. Looking at Wikipedia’s population demographics, I figure there’s roughly 185 Americans aged 20-64. (Add 34.4 million if you want to stretch working ages from 15-69) Looking at the Bureau of Labor Statistics, I see 149 million Americans have jobs. That’s a 36 million difference. Not as scary as the 102 million the conservatives claim, but nowhere close to the 5% to the official unemployment numbers. But if 20% of the working-age Americans are out of work, then that’s a big factor for the election. Yesterday’s New York Times essay, “Can Trump Save Their Jobs? They’re Counting on It” is probably a better indication of how many voters felt. They are looking for an alpha male to align themselves with in hopes of gaining help. It’s a shame the election wasn’t between Sanders and Trump, when both candidates would have targeted the same issue. It would have been interesting to see which solution Americans preferred for solving “It’s the economy, stupid” angle. Lesson 3: Does ethics matter? Both candidates were generally considered less than ethical by the general population. There were plenty of mud-slinging on both sides. Supporters of each candidate seem willing to ignore personal defects of any kind in their candidate, but not in the candidate they didn’t favor. I think the vast majority of voters went with either liberal or conservative values and ignored personal values. In other words, most members of either party would vote for a yellow dog. The country seems to be divided into thirds: liberals, conservatives, and independents. The independents swung the election. Lesson 4: The future looks very different to liberals and conservatives, but both fear a bleak future. Liberals fear the climate apocalypse, while conservatives fear the secular apocalypse. Science and demographics show both trends are happening. Conservatives were determined to protect the Supreme Court from liberals. They want a Christian theocracy and the legal foundation for conservative economics. 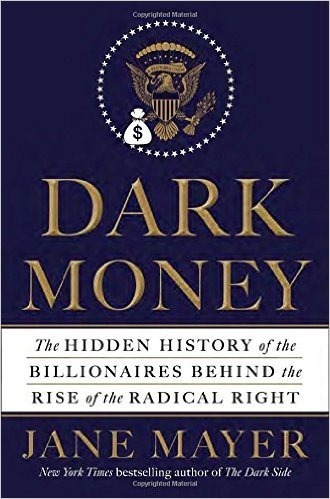 Read Dark Money by Jane Mayer. My guess is it’s less about Roe v. Wade, and more about taxes and regulation. Trump was feared as a disruptor by the plutocracy, but because of the Republicans winning Congress, they are more than happy to embrace him now. There are very few large piles of money for the 1% to siphon off anymore, and owning the Supreme Court helps to get access to that wealth. Lesson 5: We’re not logical. Voters don’t cast their votes based on logic. Who we like is often decided by our unconscious minds. 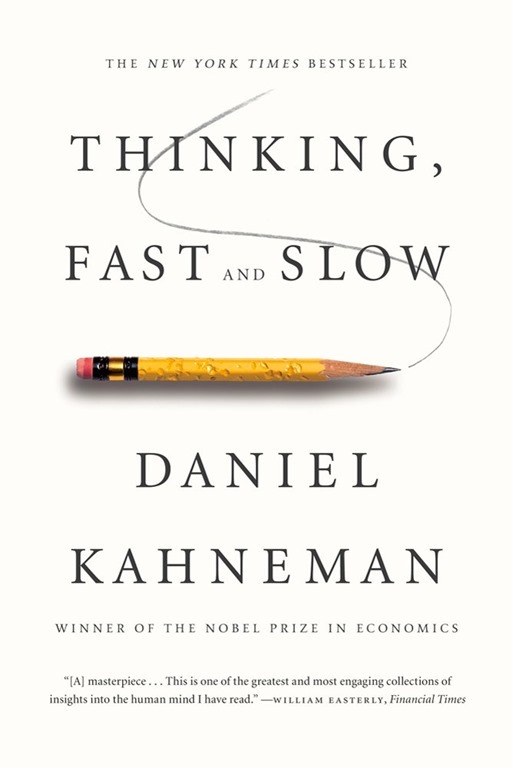 Read Thinking Fast and Slow by Daniel Kahnerman. Even when we’re thinking we’re making an informed choice, it’s probably just a delusion of our conscious mind. Also, there are too many variables in the equations of politics for anyone to actually solve the problem logically, mathematically, philosophically, or ethically. Lesson 6: I am immensely disappointed that my liberal ideas aren’t shared by the majority. Even though Hilary Clinton won the overall popular vote, that doesn’t mean the country is half liberal. My guess is roughly a third of the country is actively liberal philosophically. That means we want social programs to protect the poorest, extra taxes for the wealthiest, we seek diversity and equality, to protect the environment, fight mass extinction, to balance wealth inequality, and work to develop a sustainable economy and environment. We find it horrifying that greed and xenophobia win out over these values. Yet, the lesson of 2016 is a vast majority of Americans want to protect a way of life that has vanished, and they are unconcerned about the human impact on Earth. This is illogical to us, but that’s because we don’t understand the theological implications of conservative values. So the biggest lesson for me is I’m out of touch with the needs and desires of most voters. I felt climate change should have been the #1 issue of the election, and it was completely ignored. I feel that many of my fellow citizens are anti-science, and science is my religion. Lesson 7: I have no reason to expect more people to side with me in the future. On the other hand, I can’t expect to predict the future in any way. 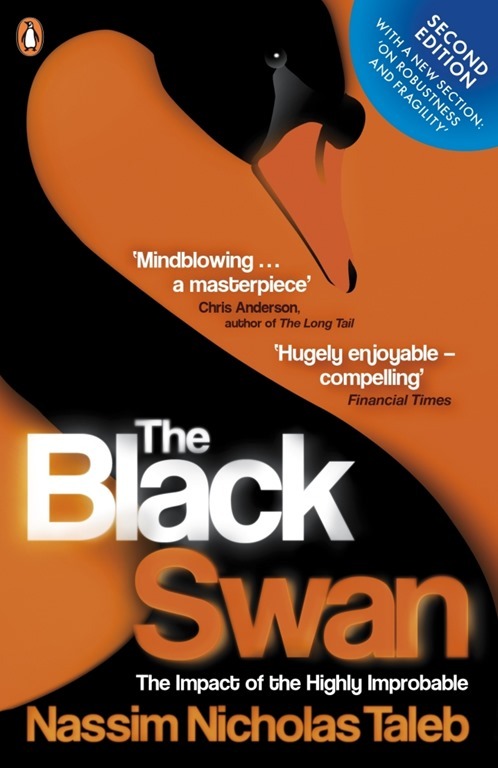 Even though I’ve read The Black Swan by Nassim Nicholas Taleb, and intellectually know it’s impossible to predict the future, we all keep hoping we can shape it. Tuesday, a whole flock of black swans landed. That should have been enough to teach all of us that we can’t predict the future. It won’t. We will all continue to campaign for our own models of reality. Conservatives refuse to see climate change, but then I guess I refuse to see conservatives. Do write a review of that De Waal! He’s intersting, not? Yes, de Waal is fascinating! There’s so much to think about in Are We Smart Enough to Know How Smart Animals Are?. I’m glad I’ve been vegetarian since the 1960s, and a vegan lately. I feel bad about having killed a rat the other night. My biggest concern is that the Trump victory validated that lying, bullying, fear-mongering, and inciting hatred are a valid means to an end. What kind of message does that send to the younger generations. I fear his victory has emboldened the alt-right to rachet up their hateful behavior. Although I sympathize with buffalocharlie’s comment, Hegelian dialectics (and Asimov’s psychohistory) predicted a Trump win. After 8 years of a Democratic Presidency, political forces made a Trump win possible. Of course, if 5 million more Democrats had voted we’d be celebrating The First Woman President. I wonder how many people damned themselves for not voting last Tuesday? I wonder how many people damned themselves for voting for a third party? I wonder how many people damned themselves for NOT voting for a third party. I certainly didn’t feel bad about voting for Gary Johnson; it’s not my fault if Trump won. Both the Libertarian and Green Party presidential candidates were on enough ballots to conceivably have won the election, if enough people had voted for them. But if your idea about the alpha male is right, then that certainly explains their vote totals. It’s your right to vote for whoever you want. And it would have been great if we had had some options. But you have you seen this John Oliver piece on the 3rd party candidates? Third party votes did not determine this election (even less so than in 2000, which Dem partisans are so dishonest about). There’s really no disputing this — the numbers are easy to find and support only one conclusion. “I had no idea how badly my fellow citizens wanted Donald Trump for president”. Mostly they didn’t. Hillary was just an unacceptable candidate. Again, numbers and analyses on this are easy to come by and pretty determinative. Also we have now learned from Wikileaks that some of Trump’s success was the result of deliberate promotion — wait for it — by the Hillary campaign, in collusion with major media actors. Go read for yourself. Look for “Pied Piper strategy”. Though I believe I’m well to your left politically, I’m currently celebrating Hillary’s defeat, if not Trump’s victory — for too many good reasons to go into here. Seeing both dynastic candidates lose was about the best outcome to be had at this point in the cycle. “…lying, bullying, fear-mongering, and inciting hatred are a valid means to an end”. I’m not sure I could come up with a more accurate and succint description of the Clinton campaign strategy and of her most ardent supporters too. No, I’m no fan of Republicans nor of Trump (who FYI is a former Democrat) but observing the behaviour of Clinton partisans over the past few months has been like reliving the disgusting run-up to our invasion of Iraq. Turns out that “both sides do it” isn’t a myth after all. Well, I disagree. The hatred and prone ot violence is far, far, far a stronger element with the alt-right than any pro-Democratic “groups”. Not even close. The alt-right is dangerous, and I worry that they feel emboldened to further promote their message. PJ, I wasn’t happy with either party. I voted for Hilary because I didn’t want conservative Supreme Court justices appointed. I also wanted efforts made to fight climate change. I didn’t get my wish, did I? paintedjaguar covers most of my response. I would add that most conservatives do not want a theocracy. As you mentioned, you live in a liberal bubble and I think that makes you unqualified to speak for anyone who is conservative. Not all conservatives are religious and not all liberals are atheists. It is generalizations like this, whether about liberals or conservatives, that help maintain the divide. I am conservative but I am interested in programs to help the poor, rich paying higher percentage of tax, diversity and equality. Those are things I do not see as issues that conservatives oppose. Rather, that they been handled properly and equally. That true poor people without the ability to better themselves get what they need (but not a system to be abused by lazy people) and then help them rise to point they can be self sustainable if possible. Not taxing the pants off the low income wage earner who cannot afford to buy many things but yet they help contribute to the greater good. Also, to think liberals are the only ones who care about the environment or animals etc is just silly. Since the election the whining has been that hate, racism, etc is what is going to drive the country. That just wont be the case, it is time to move on. Trump is not my most favorite candidate but then again neither was Hillary. If she would have won the world would not have ended and it will not end now. I threw in the theocracy bit because some conservatives want to undo Roe v. Wade, shape marriage laws, control gender issues, all base don their religious beliefs. To me, any laws that come from religious beliefs have a taint of theocracy to them. And I agree completely that both liberals and conservatives are composed of diverse individuals, and hate to be lump into a category, but the nation has polarized into two camps. I would like to stay in the middle, but I’m definitely liberal. It would be great if we all voted on each law as a referendum. I think that could depolarize things. I do believe some conservatives care about the environment and animals, but the conservative movement doesn’t show that with the laws they want to make. You might be more liberal than you think. I appreciate allowing the post and your response. Shedding some light upon myself, I would agree I have a mix of conservative and liberal views. I as well see myself in the middle although I know I am clearly conservative. I love people of all stripes. What they do etc may not match my take on the world but they are people who deserve to loved and respected just the same. As well as have the freedom to live how they want so long as it does not hurt others. I support education, health care, welcoming anyone into the country etc. I do think we have created systems that have become abused and in the end hurts everyone. I have no issues with marriage laws or gender related issues. I do think abortion is murder and should be stopped. This is not based upon any religious belief rather a moral issue. I really bothers me that people want to say it is just a religious issue. All laws are based upon some moral code, sometimes it could be religious based other times not. Whatever the core of it should not invalidate the importance of it. To me, being against abortion It is no more a religious issue than we all agreeing that shooting someone is wrong. I say it is murder based upon the fact that many premature babies are born every year and it gets earlier and earlier in the gestation period that it happens. They are humans and many survive and grow to adult. At the time they are born they are protected like you and I, but within the womb they are not. Yes they need medical technology to survive but many people who have heart attacks, cancer etc need help to survive as well. Likewise anyone who needs medical care to live should be provided that care regardless of insurance, race, etc. That is what a society should do. Much is said about protecting the life of the mother. But I wonder how many abortions are done with that as the reason given when in fact the mother would have been fine or the baby could have been delivered early and survived to avoid danger to both mother and child? I would bet many abortions are done to be rid of a mistake or inconvenience. As a progressive and modern society I find that very disturbing. As you can see that topic is pretty big to me. Having said that though, I had no problem with recent marriage law changes, it certainly benefited one of my friends. As for climate change, I do think it is important that we work to limiting our impact as a society upon the climate and the world in general. I am not completely sold that we are responsible for *all* of it but I have not researched it enough to know for sure and since I find it important to take care of our planet see no reason to dig into since I support the concern anyway. Lastly, I do like reading your posts. I think we have about 10 years difference in age between us at most and some of the memories hit home. It is a nice place to visit to get away from the noise of the world. I can understand why some people believe abortion is murder, but I consider it a woman’s issue, and men have no right to say one word about it. Men have oppressed women for so long, that their freedom should include 100% freedom of choice over their reproductive rights. On a different issue, I believe the word “morality” comes from religion and religious thinkers believes that God has the authority to decide moral issues. Since I don’t believe in God, I believe humans use ethics to decide what is right and wrong. Since I don’t believe in God, I don’t believe in souls, not in the sense of how the word is used in the religious idea of conception. Politically, I can understand that people who do believe abortion is murder is an important issue to them. But I believe imposing religious beliefs on society is an important issue too. Even though I’m an atheist, I think it very important that we have freedom of religion, and that no religion should impose its concepts on secular law. That way I can believe what I want, and other people can believe what they want. Thus I believe laws should be ethical and egalatarian. Any law that originates solely from a religious heritage can be seen a theocratic. I do know there is a growing segment of conservatives that do want to fight climate change, and that’s good. But I’m afraid the conservatives who make the laws aren’t interested. They believe anything that interferes with business is inherently wrong. I think capitalism needs revising. Capitalism only works when the participants behave in an ethical manner. In the U.S.A., it seems that the ethical center has been lost, and not capitalism is not operating for the greater good, but strictly, without shame, for the profit motive. Nothing wrong with profit, but capitalistic endeavors should be about, not only profit, but job creation and adding value to society.